Tonight at Mountain Stage, rock cellist, Ben Sollee played a touching song he wrote about his son, titled Slow Down. His performance was followed by the rockers, the Bottle Rockets, who played one of their new songs titled, Goes To Fast. I couldn't help to think they were singing directly to me. The last few weeks I have felt closer to a Tasmanian devil than human. Whirling around, trying to fit in as much as possible during my waking hours. This particular time of year tends to do that to me. First, summer is my true love. I feel obligated to fit in an activity in every possible waking moment that I can't do during the cold winter months. From fishing to running to sitting outside by the pool. I am frantically trying to soak it all in as if summer will never return. But, most importantly this time of year tends to go so fast because it is our last few weeks before Walk to End Alzheimer's. There is an overwhelming amount of activity happening at any given moment. From kick-offs to fundraisers. We are meeting with planning committees to finalize logistics and furiously trying to recruit teams and get the word out about the Walk. It is by far, my favorite time of year, it is exhilarating and exhausting all at the same time. Saturday night I had the great joy of visiting our dear friends who just had a baby. He is now a little over 1 1/2 months old. It is remarkable how much he has grown just in that short of time. As I cradled him in my arms, staring down into his big sweet eyes, all I could think, stop, time, stop. But, as much as I want to hold on to him as a baby, as much as I want summer to linger forever, and to have more time before we launch our first Walk in 5 weeks, the true joy of life is in the journey of time. This time of year I often have to stop, and look around and breathe it in. Feel the slow rumble of momentum as the stampede of Walk to End Alzheimer's appears on the horizon. Walk to End Alzheimer's is the place that we put our joy and our pain, it is where we fight and remembrance, and all of the activities leading up to the Walk is the joy of the journey. In 40 Days, 12 hours, and 15 minutes we will cut the registration ribbon on the first Walk to End Alzheimer's of 2013. Crowds of purple will rally, marching with one purpose. To End Alzheimer's. In all the madness that is Walk morning, and the weeks that lead up, take a moment to stop and breathe and soak in the powerful moment that Walk provides. Last week's Walk to End Alzheimer's Team Week for the Martinsburg, Mid-Ohio Valley and Beckley Walk to End Alzheimer's were a smash! Throughout the week, teams recruited 109 new people to their Walk teams! We can't wait for the rest of our upcoming Team Weeks, especially Huntington & Elkin's next week! We are complete! Kelsey Clough begins today as our new Constituent Relations Coordinator. She is my replacement, and will be managing our marketing, communications and public policy work! She comes to us from the Higher Education Policy Commission, and we are thrilled to have her! Caregiver University comes to Martinsburg this week! Join us on Wednesday at the Blueridge Community and Technical College. We are still accepting registrations, click here to register online or give us a call at 800.272.3900! Registration is open and booming on our online dementia care class with WVU Continuing & Professional Education! Registration is open until August 5, for more information click here! Chef's Note: Just a reminder, the recipes featured each week aren't necessarily good for your brain, or good for anything other than your weekly reminder to do something for yourself. I use cooking to help relieve my stress when I can't really get away from the house, so I encourage you to find what works for you! 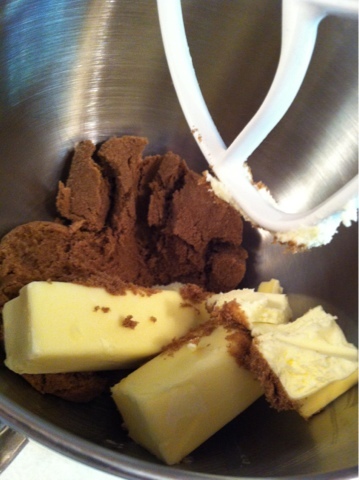 But, you should try these chocolate chip cookies, they are yum-o! Well, we had all of the fixings to make a batch of chocolate chip cookies, so I went for it. This is one of my all time favorite recipes, because it is nearly fool proof. As a matter of fact, in my excitement in Ryan Newman crossing the finish line first, I lost count of how many cups of flour I added - and ended up leaving out 1/2 cup! 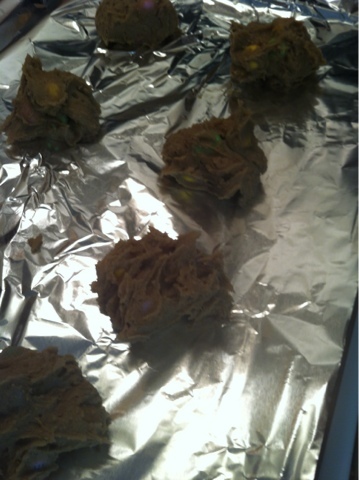 But the cookies turned out pretty tasty anyways! The genius behind this recipe is, you guessed it, Martha Stewart! You can find the complete recipe here. 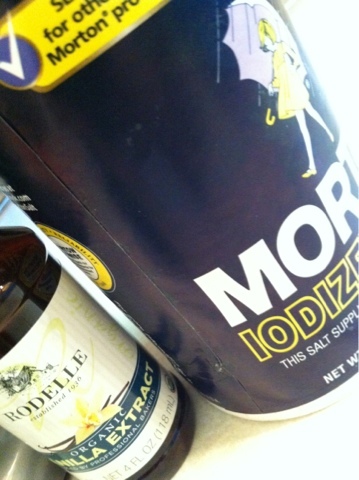 Add 1 tsp of salt and 2 tsps. of vanilla extract. 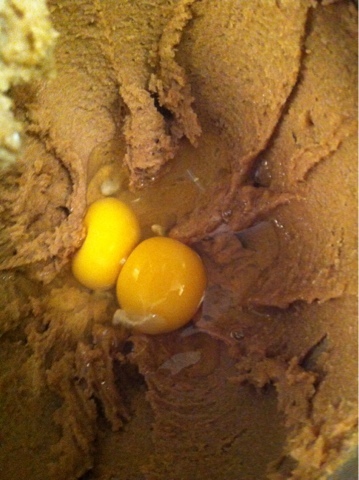 Followed by two eggs, then blend! I always wish I could be one of those expert bakers that mix the dry ingredients, then sift them, then add them to the wet ingredients. But, let's be honest - I am just looking for the fastest way for cookies to get in my belly! 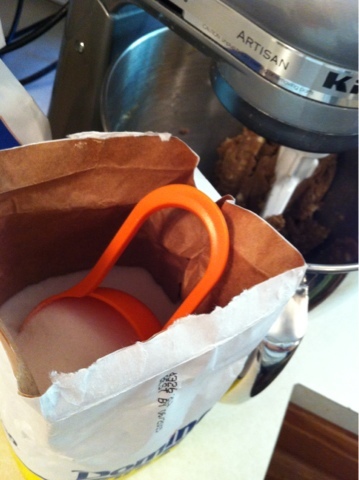 Add 1 cup of flour at a time for a total of 2 1/2 cups of flour, after the first cup of flour add 1/2 tsp. of baking soda. 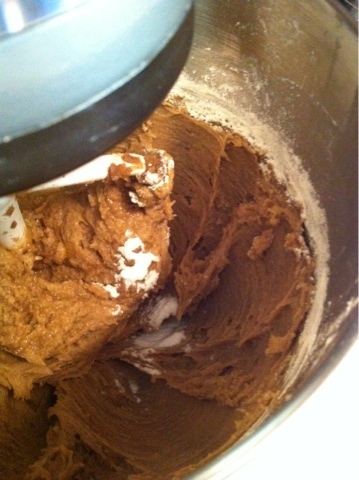 (Once I accidentally added baking powder instead, and they still turned out great! That's how fool-proof this recipe is!!) It is important during this time to really focus on how many cups of flour you are adding. Try not to get distracted by your favorite NASCAR driver winning the race, and add all 2 1/2 cups to the batter. Now is time for the good stuff, CHOCOLATE! The other great thing about chocolate chip cookies, is if you don't happen to have chocolate chips, add any kind of chocolate chips. 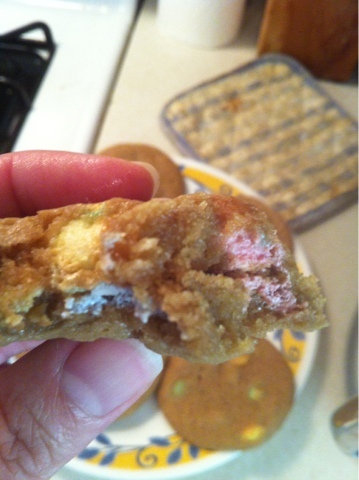 My favorite version of this recipe has to be the time that I only had 2 Hershy bars and 2 individual packages of M&M's. The combination of the cut up chocolate pieces and the candy, was so good. I think I actually ate all of them. BUT today I am going with W's favorite. 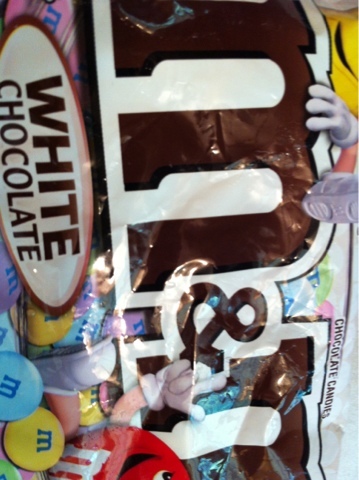 White Chocolate M&M's, I have only ever found them at Target. 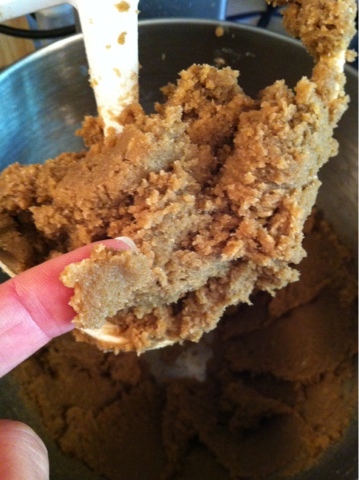 Sometimes I hand mix them in, sometimes I turn on the mixer and let it crush the candy. Either way, the cookies turn out great! Dollop about 1 1/2 tbs of batter to make 1 cookie. 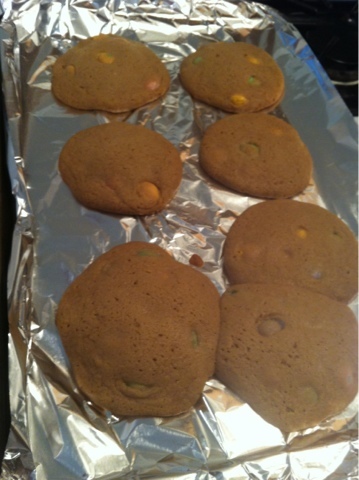 Bake for 10-12 minutes, when the buzzer rings they will still look gooey. That is normal, I promise! But, you do want to let them cool for a moment or two before diving in. Oooooooo, yeaaaaaaaa. Newman, this cookie is for you!